A study of vivid contrasts between the Australian Outback and Great Barrier Reef. From the “age of dinosaurs” to a celebration of outback heritage at The Australian Stockman’s Hall of Fame. 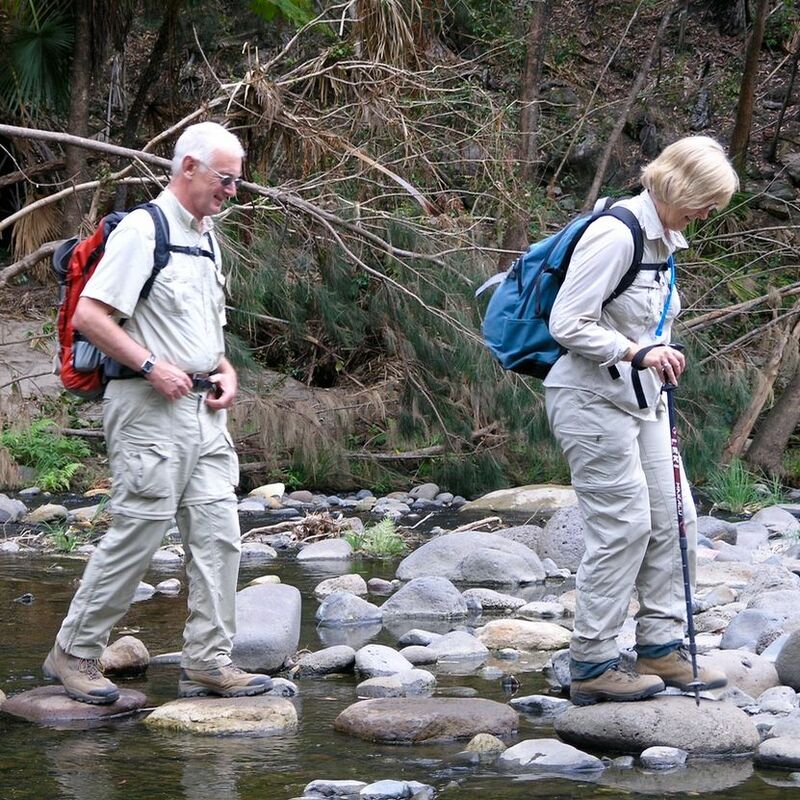 Guided walks in Salvator Rosa and Carnarvon Gorge in the Central Highlands. 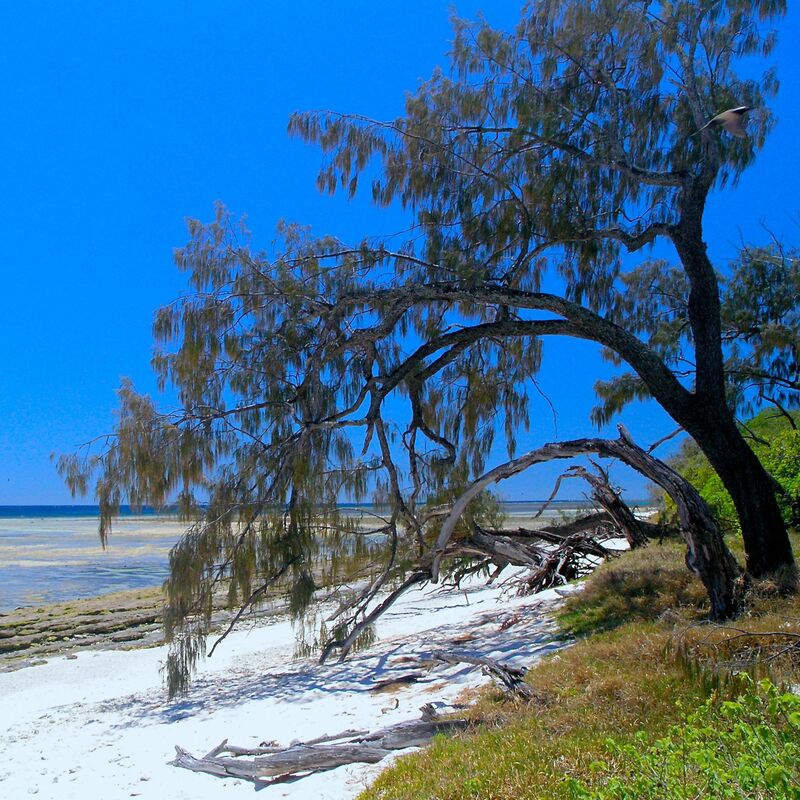 Day visits to the coral cay and gardens of Lady Musgrave Island and the world’s largest sand island, Fraser Island – 13 days, departs Longreach, concludes Brisbane. Single Supplement AUD$955. Special Discounts apply to this tour. Early Bird price reverts to the Regular Price 6 months prior to each tour departure date. 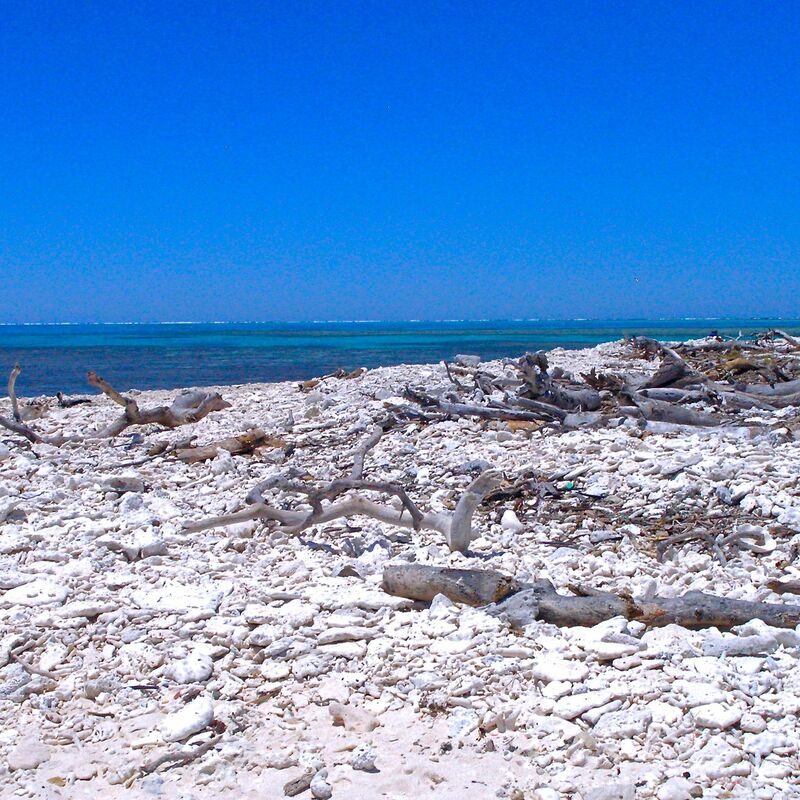 the pristine island paradise of Lady Musgrave Island, its coral gardens forming an azure lagoon. An off-shore jewel in the Great Barrier Reef Marine Park. 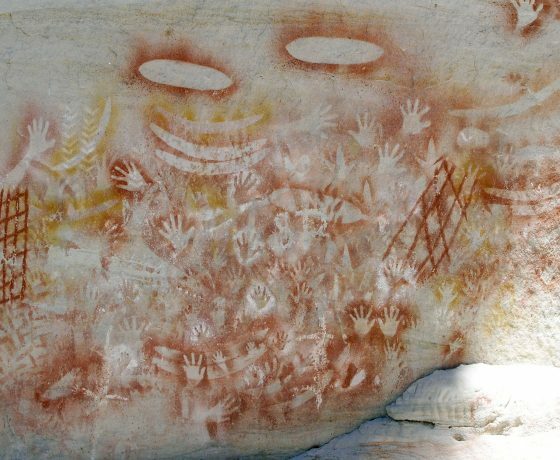 guided walks, side tours and special entries, time to roam outback towns and savour the homely hospitality and entertainment only bush people can deliver. 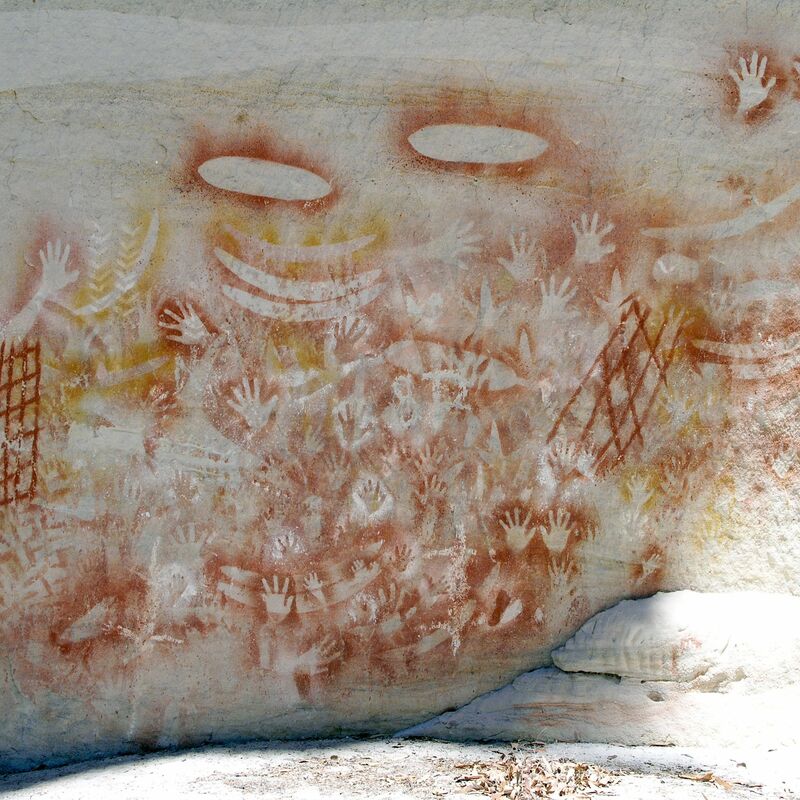 "Your tour reached into the very outback spirit of Australia as promised, the landscape, the people and folklore. I only hope many more Australians huddled around the coast line will visit their country heartland and appreciate what my wife and I experienced. 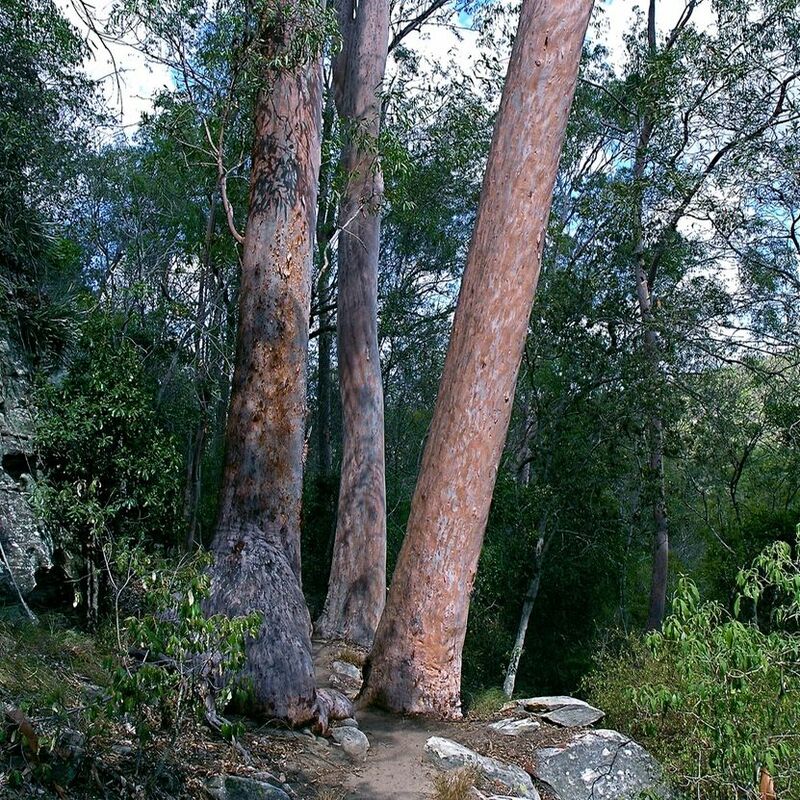 Walking the canyons of Carnarvon Gorge was a highlight and not too difficult and the Stockmans Hall of Fame exceptional for a country initiative. 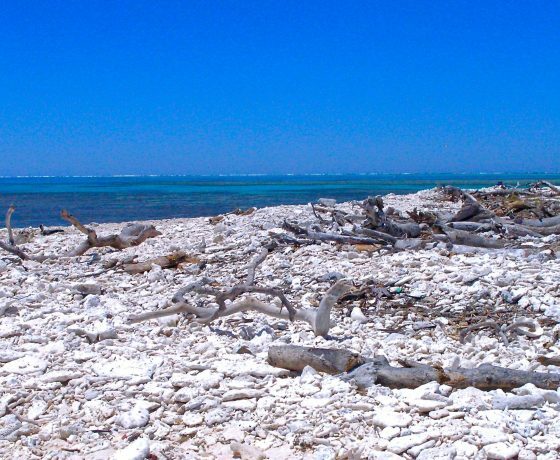 I now know why all my fishing and boating mates would like Lady Musgrave Island to remain their secret hideaway"
Pre departure administration, meet ‘n greet and tour briefings in Longreach on the first day of your tour or the afternoon before. The tour may be conducted in reverse with pre-tour activities in Brisbane. 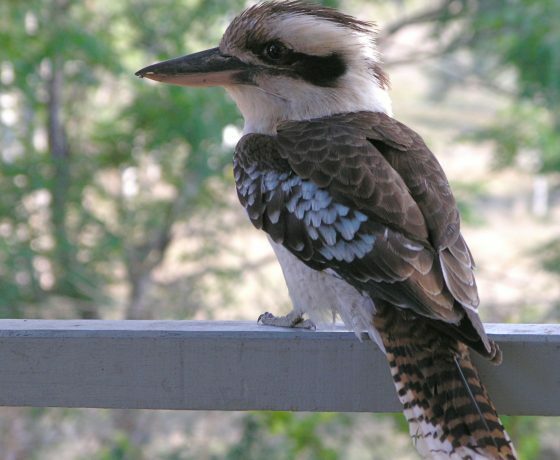 Guests usually arrive in Longreach on a Qantas flight from Brisbane early to mid morning (subject to airline programs). You will be greeted at the airport and transferred to our tour briefing venue. You’ll then travel west to the outback township of Winton and accommodation for the night, taking the rest of the day to enjoy the sights of this genuine country town. 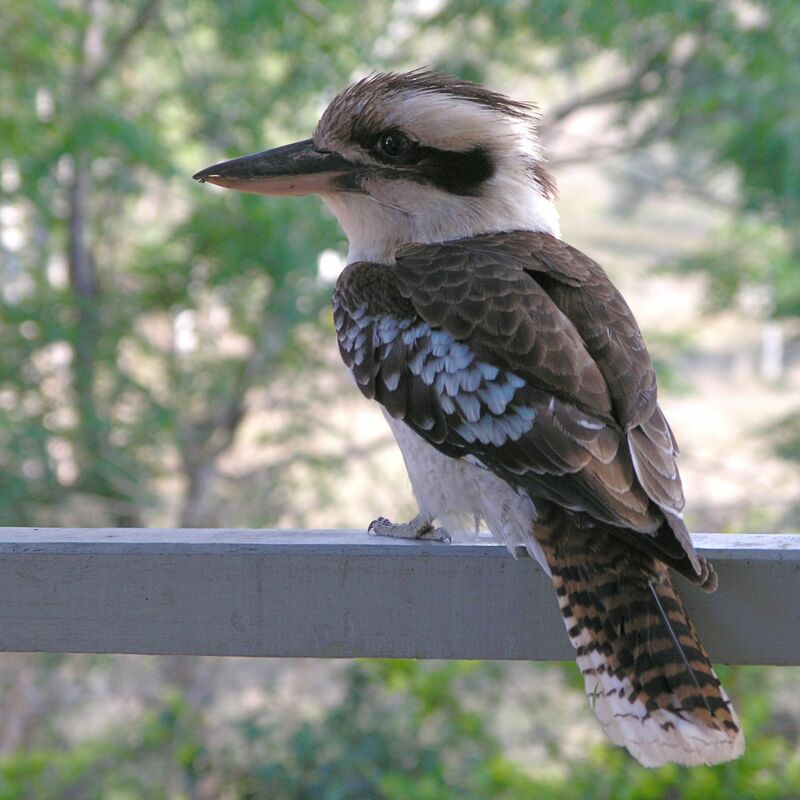 Accommodation: Boulder Opal Motor Inn 2 nights. Rise to the dawn antics and sounds of local flocks of Galahs and after breakfast embark on a full day tour into Dinosaur territory where the only recorded dinosaur stampede on earth has been protected for public education and viewing. More than 3,300 fossilised footprints dating back around 95 million years have been preserved, closely verified by Australian and international scientists. Major finds from this era are still being unearthed. You’ll then visit the Age of the Dinosaurs Museum a working exhibit centred around active discoveries and participation in the Fossil Preparation Laboratory. Here you might care to put pieces together in the never ending dinosaur puzzle. 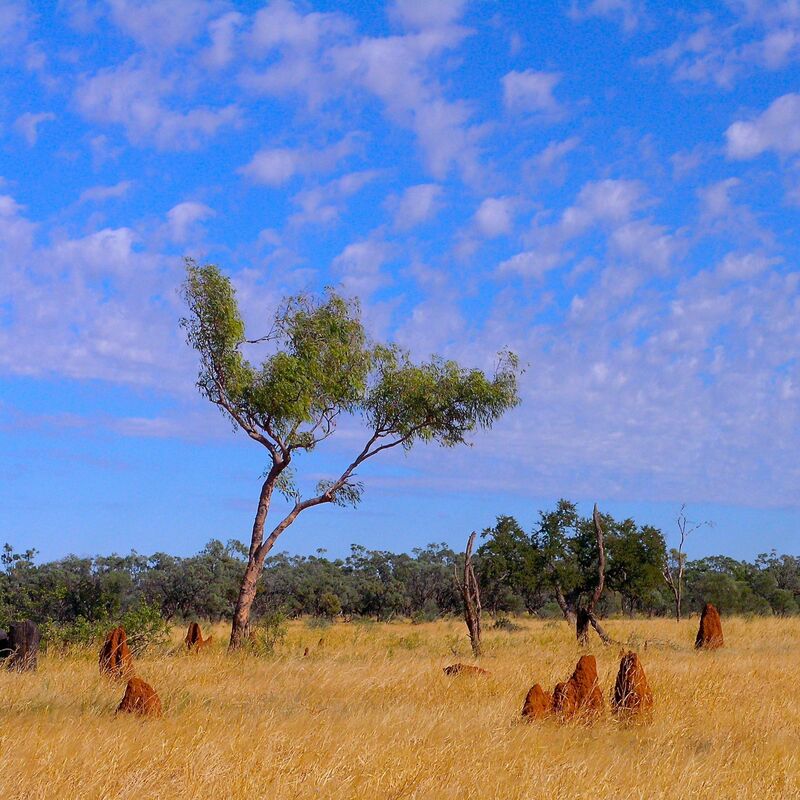 Firstly, a little more time to explore the Winton township and unique country stores before you head back to Longreach and settle in for a new wave of outback experiences. A visit in the late afternoon to the Qantas Founders Outback Museum will be of interest celebrating the flying history and beginnings of Australia’s national airline in this town. You might like to walk the garden path to the nearby Stockman’s Hall of Fame to view the quoted memories of outback heroes. Dinner this evening will include a sunset Thomson River cruise followed by an outback camp oven dinner and bushman’s show. Early morning you’ll enjoy a fascinating visit to the School of Long Distance Education where the tyranny of distance presents no challenge to isolated children and educators in this Australian institution. Here you can tune into the largest classroom in the world, live “on air” with a lesson in progress. A memorable experience. Then it is on to the Australian Stockman’s Hall of Fame and Outback Heritage Centre, one of the finest national exhibits in Australia and paying tribute to the explorers, pioneers, stockmen and ringers, Aboriginal peoples and women of the outback who helped to open up our vast country. The native gardens are adorned with impressive engraved tablets of folklore and verse, a chance to absorb the true spirit of the outback. 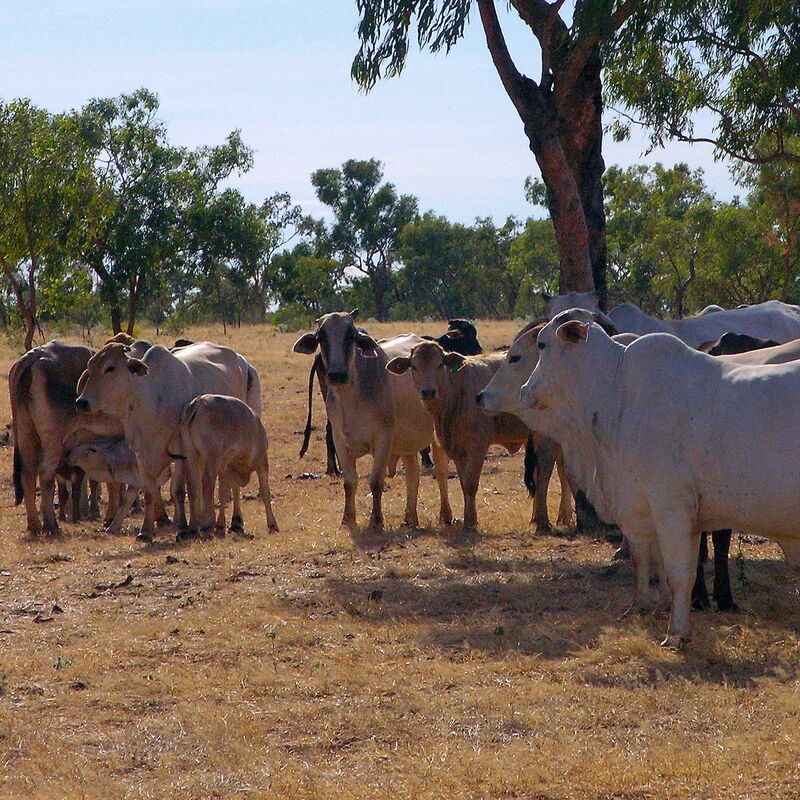 Today you leave Longreach on a back-track journey to the tiny village of Tambo, known for its industrious ladies who in hard times nurtured a fledgling enterprise to world fame. 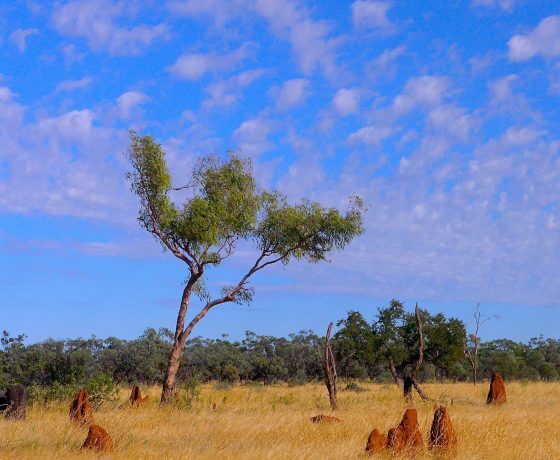 You’ll cross the Barcoo River, also part of Australia’s folklore and discover that Australia has a vast water reserve known as the Great Artesian Basin on which all early settlement of the outback was reliant. 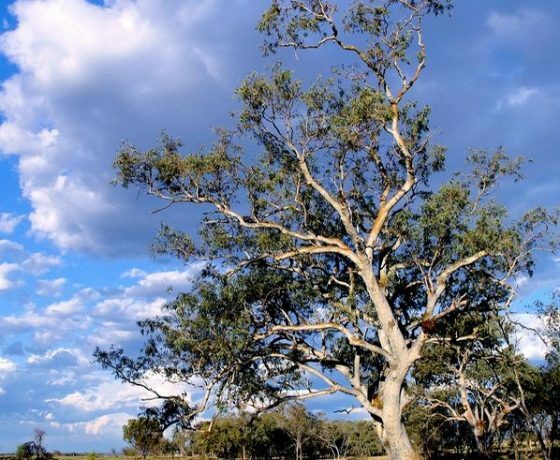 You’ll travel through the outback roads by Avington Station and discover the villages of Isisford and Blackall with its historic steam driven woolscour and artesian bore water plant. 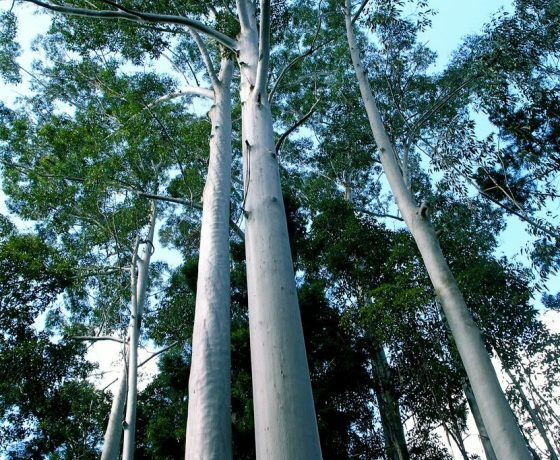 Complete your day in Tambo with a stroll along Coolibah Walk beside the Barcoo River viewing the Coolibahs and River Red Gums, home to many species of inland birds and wildlife. 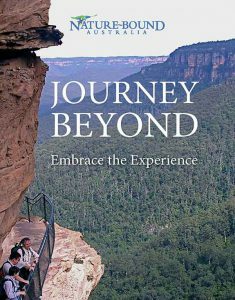 You depart Tambo for the jewel of the Central Highlands, Carnarvon Gorge, along the historic Wilderness Way where bullock team trails once serviced the pioneering pastoral industry and early massacres were the outcome of conflict between indigenous peoples and new settlers. 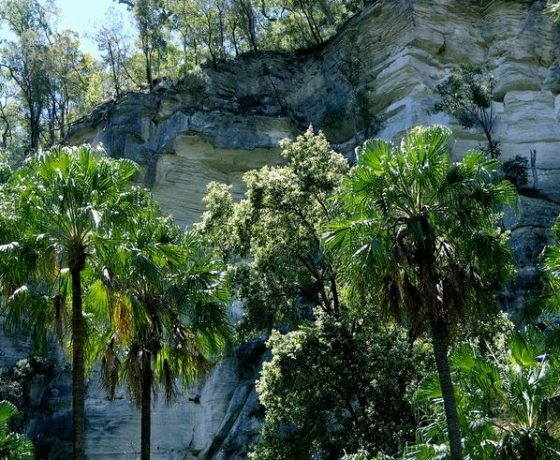 Time and road conditions permitting, you will be able to include a walk in the remote Salvator Rosa National Park with its imposing Spy Glass mountain peak. Nearing Carnarvon Gorge, the great white escarpment emerges. 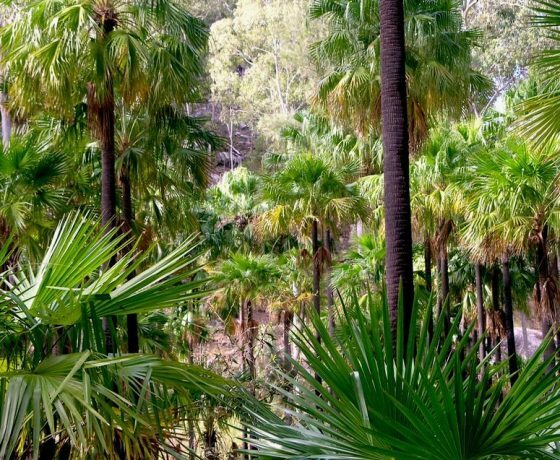 Settle into your bush inspired safari lodges for the following three nights amidst ancient Macrozamia Palms and grazing kangaroos. 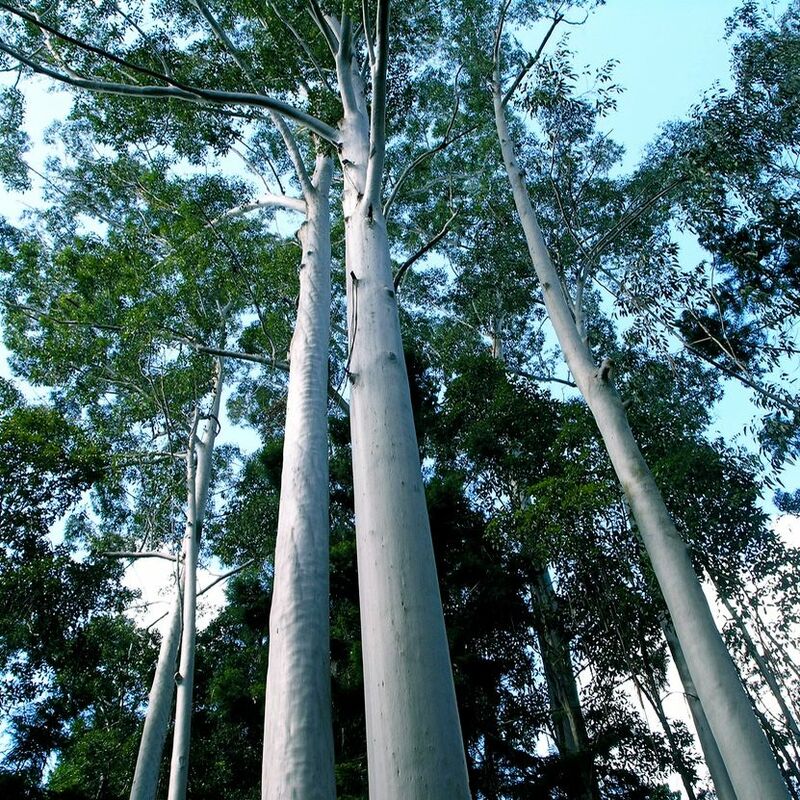 A full day walk in the towering Carnarvon Gorge is sure to impress. 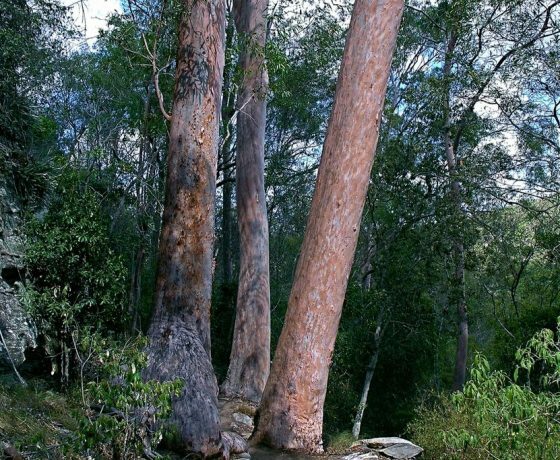 There are many delightful creek crossings for you to rock hop across , feature side gorges, canyons and an extraordinary amphitheatre, expansive Aboriginal Rock Art galleries, primitive ferns, abundant palms, birds and wildlife. 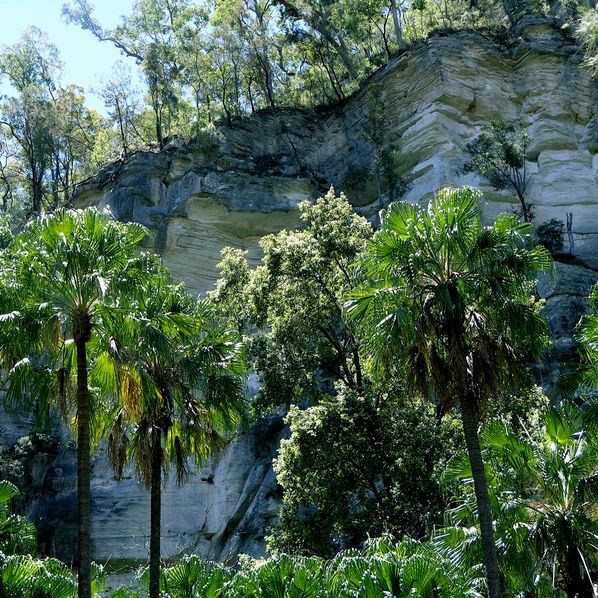 The gorge is part of a much more extensive Carnarvon National Park and a crowning oasis in the heart of the dry sandstone highlands of Central Queensland. The extent of walking you choose is readily facilitated by the out and back nature of the trail up the gorge. 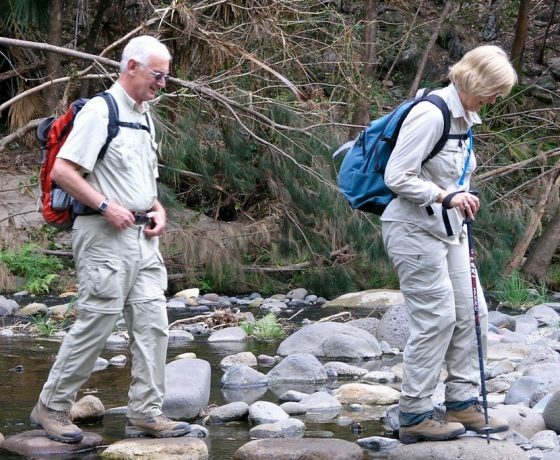 Usually declared the optional mid term leisure day of the tour, you can consider the further exploration of side gorges, or a climb to the upper head of the main gorge, perhaps some patient platypus (Australia’s living fossil) spotting in the creek if you desire. Otherwise Carnarvon is a great environment to put the feet up and relax awhile. 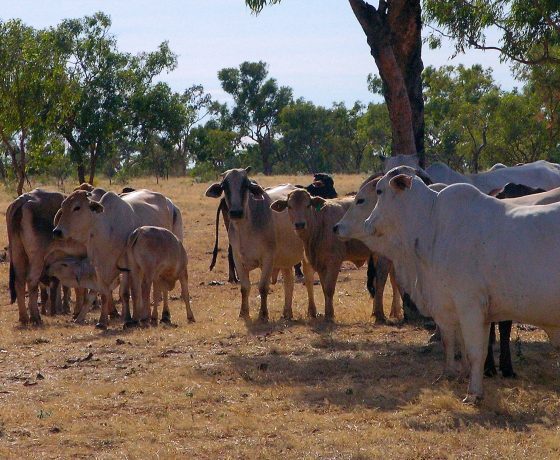 Today involves a comfortable but longer country highway drive east to the coastal township of Agnes Water, firstly passing through cattle fattening and major coal mining regions plus the villages of Rolleston, Bauhinia, Moura, Banana and Biloela. Here local government areas are the size of Belgium. 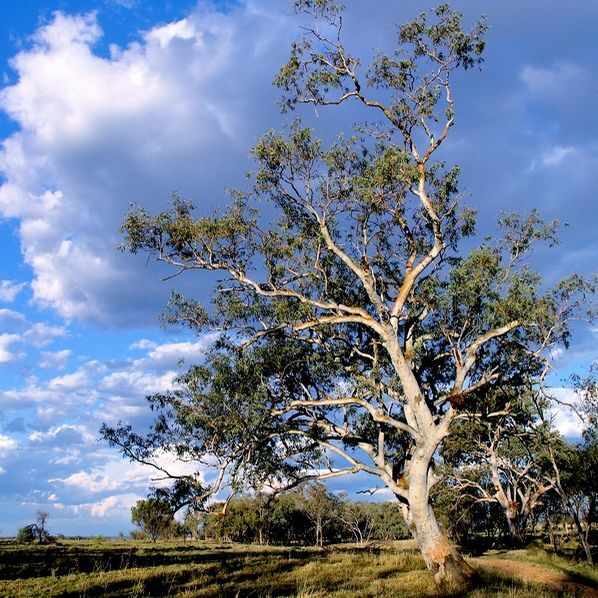 Open cut mining is prompting discussion over coal fired power demands and the environment. The road in and out of Carnarvon usually provides wonderful sightings of large plains roaming birds unique to Australia, the Emu and Bustard as well as Kangaroos and Wallabies. 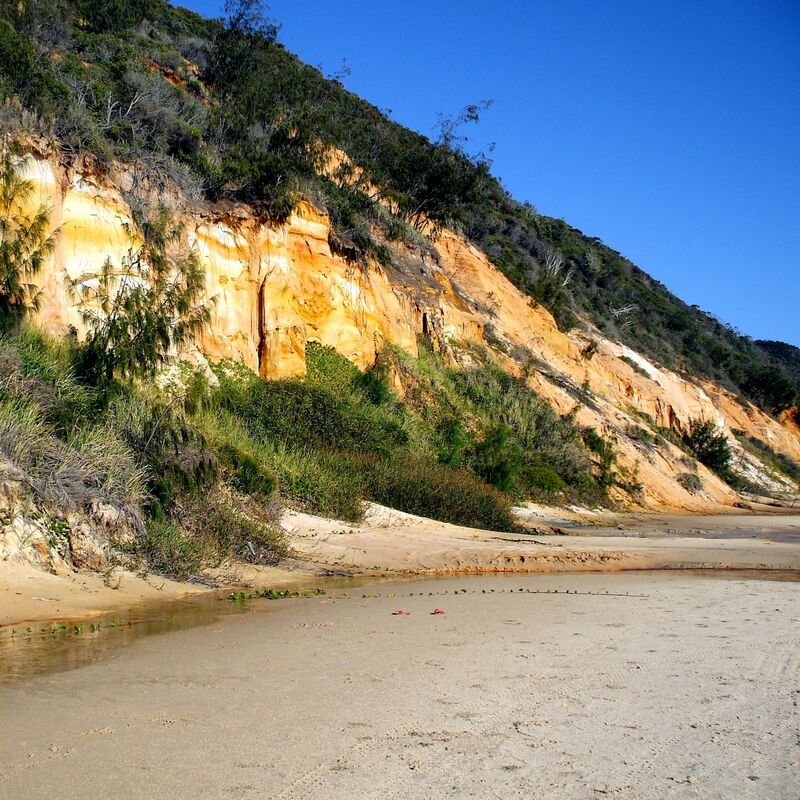 A late afternoon roam on the Agnes Water beach just a few steps from your luxury apartments will complete the day. 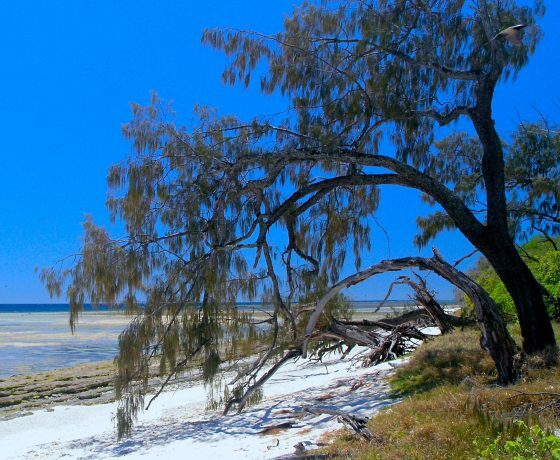 An early in house breakfast and you head for the ocean going catamaran moored at the historic village of 1770 and a spectacular day on the world heritage Lady Musgrave Island a true coral cay located on the southern extremity of the Great Barrier Reef. Here is a pristine island hideaway of coral sands, remote from the mainstream tourist invasion where you will view wonderful coral gardens, colourful marine life, an azure lagoon protected by a horseshoe reef located some distance out in the Pacific Ocean. Also available are island walks and snorkelling in a wonderful idyllic setting. 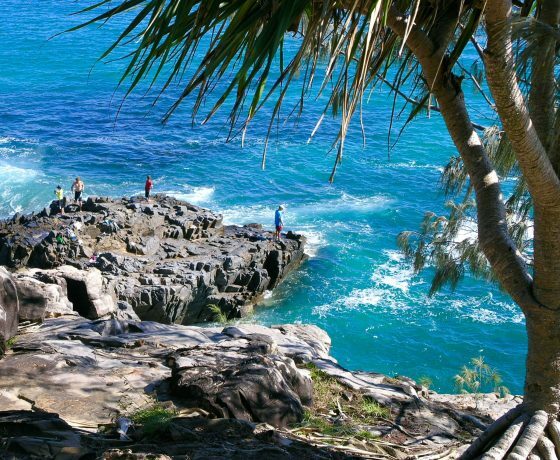 Today you’ll travel south through fertile red soil sugar cane country to the idyllic Sunshine Coast village of Noosa Heads in time for an afternoon swim in the Pacific Ocean or some free time, village browsing. After dinner there will be a briefing on the following day’s visit to Fraser Island, one of the most unique islands in the world, the largest sand island and part of the Great Sandy Straits. 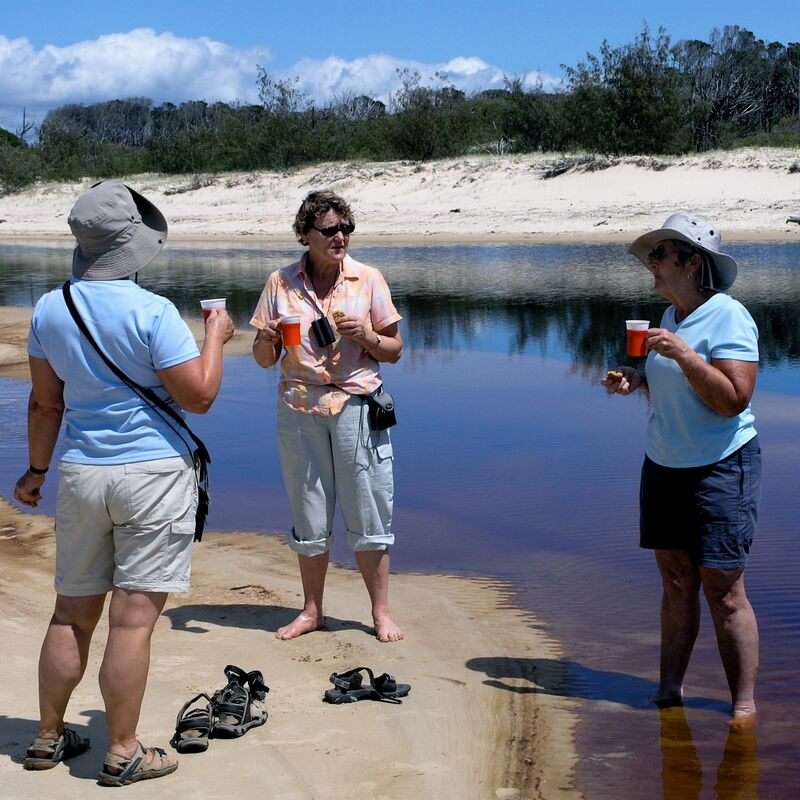 A continental style breakfast available in your room will facilitate an early departure on a special 4WD beach safari to the iconic World Heritage Fraser Island. 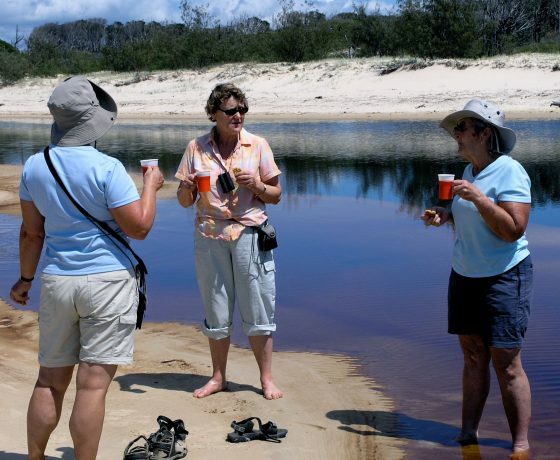 A full day of sandy bush track adventure and ecological wonder, including 90 miles of remote beach driving (4WD road), multi-coloured sands, sandy forest tracks, picturesque “perched” lakes, magnificent forests growing in sand, startling sand blows, all unique features of the world’s largest sand island. 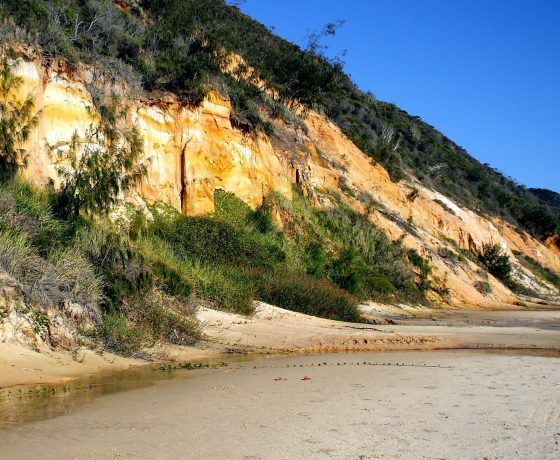 Fraser Island was the focus of an aggressive conservation battle in the early 70’s resulting in its world heritage declaration. 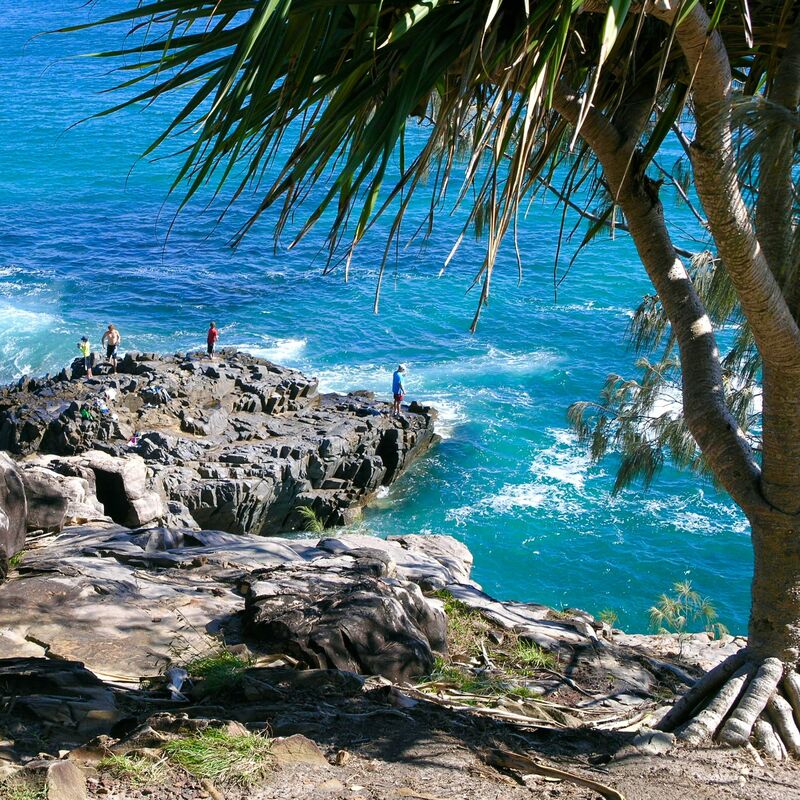 Start the day with a popular headland walk in Noosa National Park with its scenic beaches and coves and viewing of marine life (migrating Humpback Whales in season), bronzed Aussie surfers riding the waves, abundant birdlife and occasional Koalas. 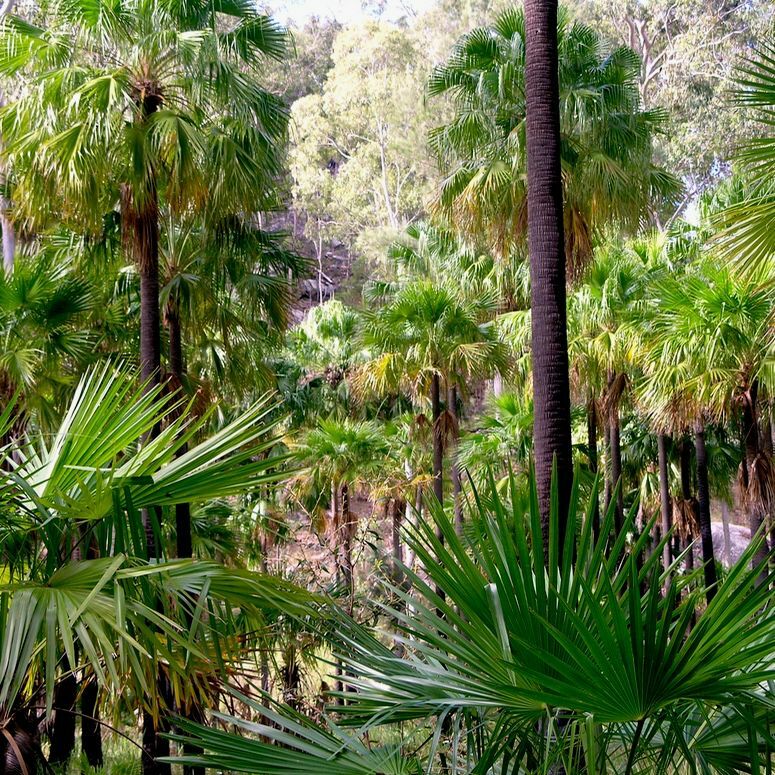 On departing Noosa there will be a short inspection of unique Wallum Country with its birdlife and flora then you’ll travel south to Brisbane via Mt Ngungun (253m) one of the feature Glass House Mountains discovered and named by English seafaring explorer Captain James Cook. Time to walk/climb to the summit of this volcanic plug if you choose, to reflect on the land forms which stimulated the dreamtime stories of local Aboriginal peoples and it is from here all tour guests will be able to reflect on a wonderful journey of high contrast from the outback to the reef and tropical coast.